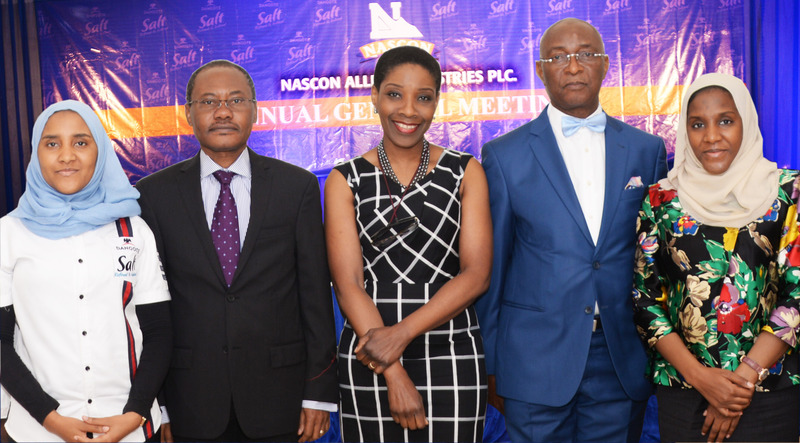 One of the companies owned by Dangote Industries Limited, NASCON Allied Industries Plc, last week, released its financial statements for the year ended December 31, 2018. A glance through the performance of the salt manufacturing company showed that the reveneu generated in the year under consideration declined to N25.8 billion from N27.1 billion. It was observed that the rise in the cost of sales during the year affected the gross profit netted by the company. Business Post reports that the cost of sales went up to N18 billion from N17.1 billion, which reduced the gross profit to N7.8 billion from N10 billion. Though the amount used on distribution costs reduced significantly to N828.8 million from N604.7 million, the administrative expenses went up to N1.9 billion from N1.8 billion. The profit before tax recorded by NASCON was N6.5 billion against N7.9 billion a year earlier, while the profit after tax dropped to N4.4 billion from N5.3 billion. A look at the earnings per share (EPS) indicated that it declined to N1.67k from N2.02k. As a result of the weak performance posted by the company in the 2018 financial year, the board announced a dividend payment of N1 per share, lower than the N1.50k per share paid in the previous fiscal year.